I had a chance to work with our Anatomy & Physiology classes, taught by Dr. Badraslioglu, this past week. 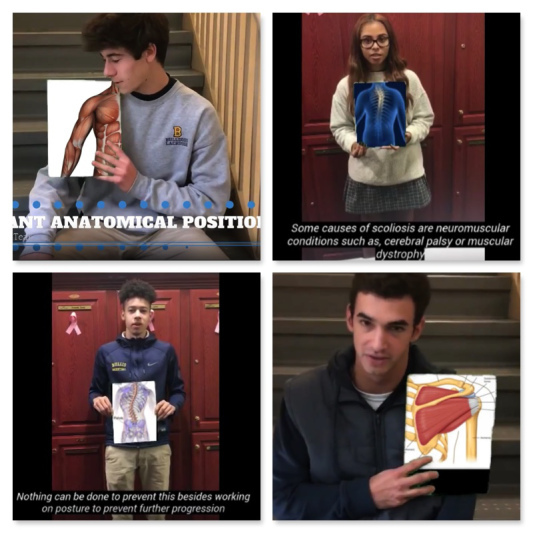 We used WeVideo to have students create a "Beneath the Surface: Musculoskeletal Disorders Project" to showcase what they are learning in class. This activity allowed them to use the vocabulary they have been learning to this point and create a compelling visual presentation of their knowledge. 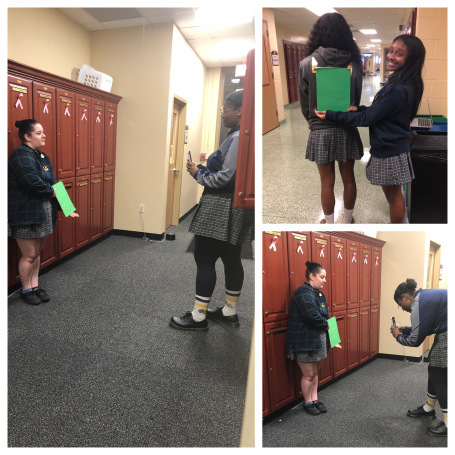 Using green screen, students were able to visually show these deformities while talking through and analyzing the impact of the disease on the human body in their video. decide how they plan to record their video, how they will hold their green piece of paper to sync up with their narrative, etc. The next step was for students to create their video recording (using their phone). While holding a solid, colored sheet of paper over various parts of their body (those they had decided to focus on in the storyboarding step), students talked about the impact of their disorder on the human body. Students so far had studied the skeletal and muscular systems. This narrative served as the basis for the video edits they would make in the final step of the project.